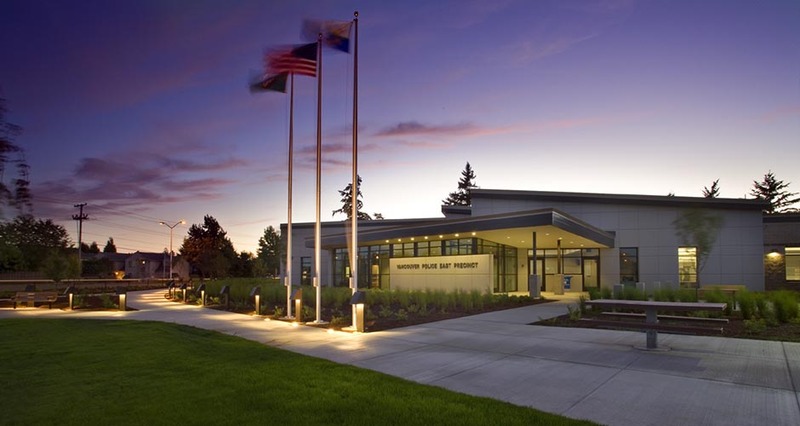 The Vancouver Police East Precinct station presents a clear presence in a highly visible area for the Police Department and the City of Vancouver. 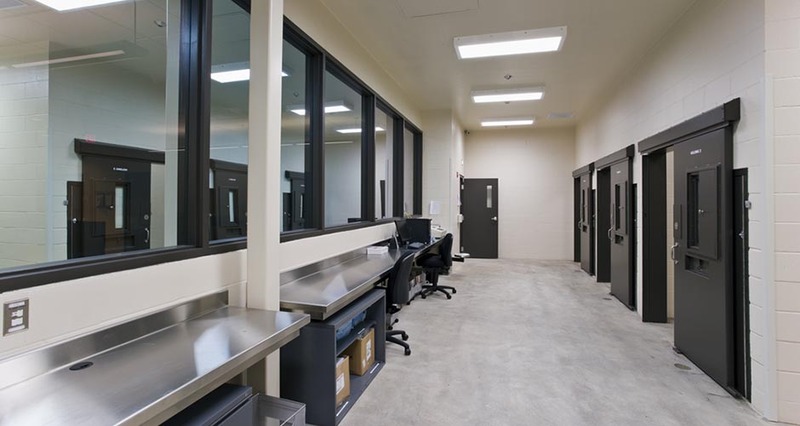 The Police Department occupies 17,500 SF of space, including administration, patrol, custody (short-term holding), detectives, crime prevention, and phone reporting activities. The remaining 8,500 SF houses the City’s Construction Services Department. 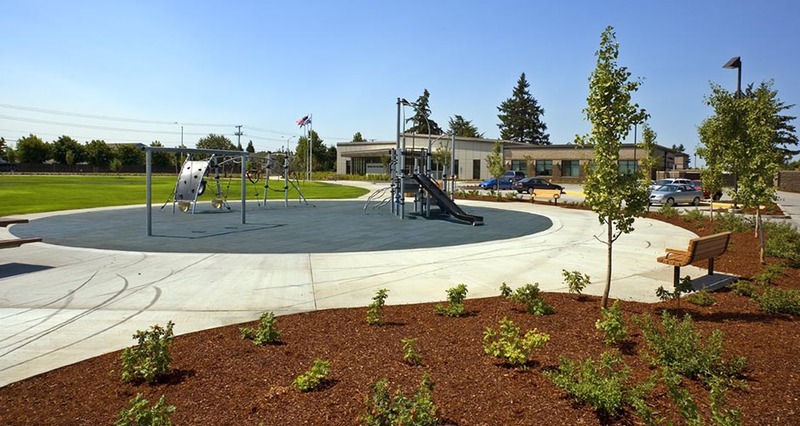 The approximately five-acre site accommodates the station and a two-acre neighborhood park. 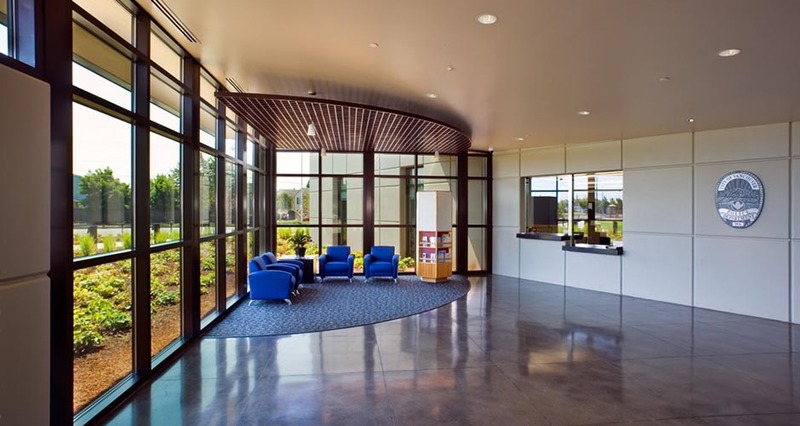 The award-winning project was designed to meet LEED criteria for sustainability.